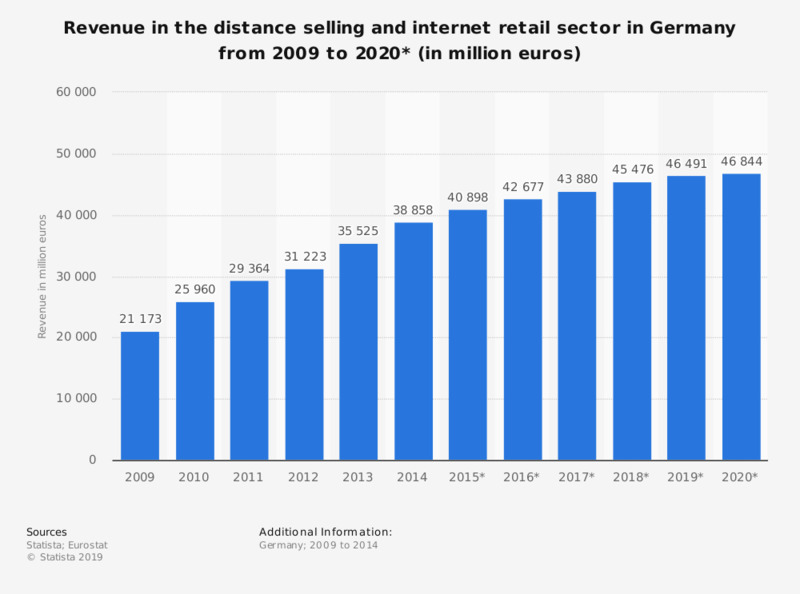 This statistic shows data on the revenue development in the distance selling and internet retail sector in Germany from 2009 to 2015, and a forecast up to 2020. Revenues are expected to amount to roughly 47 billion euros in 2020. * The figures for 2015 to 2020 are based on a forecast. The industry classification is based on the statistical system of branch classifications of the European Community (NACE Rev. 2). You can find more information on Statista's market forecasts here.